Mt. Clemens, Michigan for both! The loft is in Clinton Township, North of Detroit proper. I’ve been here almost my whole life, aside from a two-year stint in Ontario. How did you get into sailing and sailmaking? To answer that question we have to go back a ways. My grandfather started in the business in 1928, my family kept it going, and I was born into it – making me a third generation sailmaker. Growing up everyone in my family was sailmakers, including my dad and his six siblings. The same was true for me and my siblings; there simply wasn’t an option to do anything else. You worked for the family business. In terms of sailing, I don’t even remember my first time on the water. I get memory flashes from when I was 5 or 6, but I know I was out as a six-week old. Besides sailmaking my family also sold boats, mostly for Cal and Ranger. Our family would take a new boat from the dealer, campaign it for a year and then sell it someone. As a result we basically had a new boat every year, which was a pretty cool arrangement and helped me become a much better sailor. In 1971, when I was 5, I sailed with my dad at the ¼ Ton Nationals on a Ranger 23. It must have been a funny sight to see, a 5-year-old sailing in a National Championship event. How long have you been in sailmaking and design? I’d say I’ve really been sailmaking for about 35 years and been designing them for 29. Design is a real passion for me, but the early design programs of the 1980s were a total joke – it was a disaster back in the day. Early on, the sailmaking group I was with made the decision to break away from using Mylar templates to build and design sails. But the first years of transition after that decision were pretty tough. Of course it was cutting-edge for its time, but the program we had could only really print out a design for a generic low-performance triangle. It was useful though, because you could send numbers directly to the plotter, which saved a lot of time; but still, it left a lot to be desired. For me as a designer and an expert sailor, sailmaking is what I’m good at. It has come easy to me over the years. Design is very important to me. I like to be able to think about and develop a concept, implement that in the sail plan, and go out and test and prove the theory we started with. I think there is a reason the best sail designers I’ve known are also great sailors. Compared to sail designers that have a purely engineering background – great sailors understand the concepts and nuance of sail design. Pure engineers don’t. Every boat is different – the J/105 for example may look like a sports boat at a dock, but it’s a heavy displacement boat on the water. It’s a concept you have to understand when you design a sail for it. Mast bend and keel thickness are big concepts that can stall out a design if not properly understood by a designer. The sheeting angle is another element. The list goes on and on and you have to know what all these elements are and how they come together for the specific boat you’re working on before you build the concept for your design. The first sail I recall making was the year I did junior sailing. When I was 14 I made the jib for my Flying Junior. That was the first one I can say I truly built on my own. In my early days at the loft with my grandfather I wasn’t allowed to build sails. We had 35 people working at the loft, so I was more responsible for washing and pre-checking sails or taking care of small repairs. I might have helped out on someone else’s sail at a young age, but never really built one until I was 14. How did you meet David Ullman and Larry Leonard? David and I sailed in some of the same circles a longtime ago, but the first time I truly met him was in the early years of Melges 24 racing, probably around 1995 or ‘96. I met Larry in 1995 at Key West Race Week. We were competitors in the SORC, both scrambling to re-cut sails side-by-side. In those days we were building sails for boats that had never seen the water, all without the aid of 3D modeling. As a result, you had had to take your best guess at the design and then make adjustments on the fly at the event. Larry would later recruit me when he was the president of Quantum Sails. It’s good to be on the same team again! 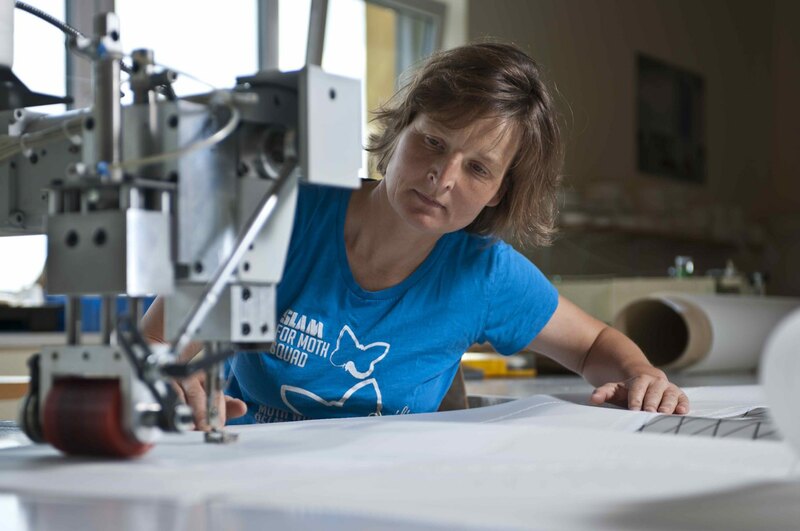 What are the highlights of your sailmaking career? I have a lot of highlights in the International 50 Class. I designed sails that won the International 50 Championships. Another is having designed and won with sails we had just built for the SORC and Key West Race Week. A couple of the more exciting campaigns I’ve worked on were the ‘Fujimo’ and ‘Nitissima’ teams. I’ve had a lot of highlights in One Design as well, but at the time the SORC and premier events were really tough sailing, those were the pinnacle achievements for me. Name one of the best events in the world to sail. For along time it was Key West Race Week, it was always the biggest event, all of the best sailors in the world showed up there and the conditions were superb. It was really cool to see the event grow as well. When we started going down there it was just a little regatta that has boomed into an all-star event. Where are the top cruising destinations for you? Regrettably I don’t really get a chance to cruise anymore. Back in the day, when I was younger I would go cruising with my grandfather – I think the best place I’ve been is in the Georgian Bay off Lake Heron, it is absolutely stunning. Mike Boston is a talented sailor, sailmaker and sail designer. 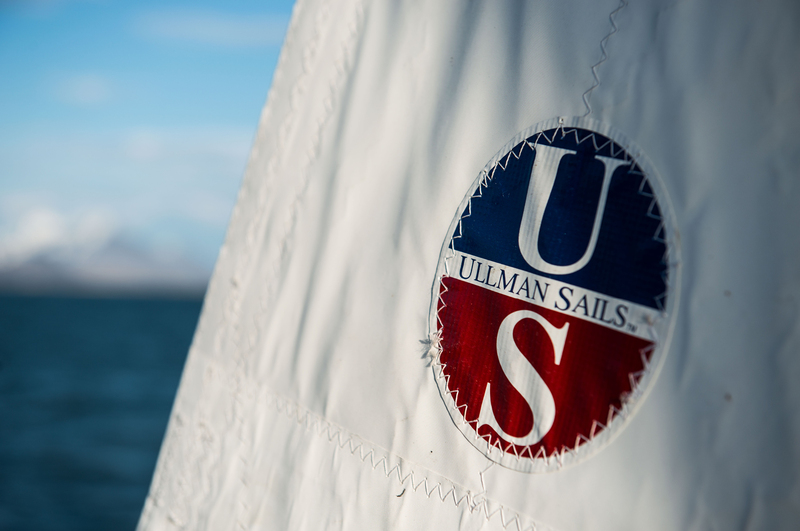 With 35 years of sailmaking experience and nearly 30 years of design experience Mike brings significant insights to the Ullman Sails group. Further, Mike’s accomplishments in One Design and his sail’s success in the DN Ice Boat Class make him a formidable competitor and authority on speed. 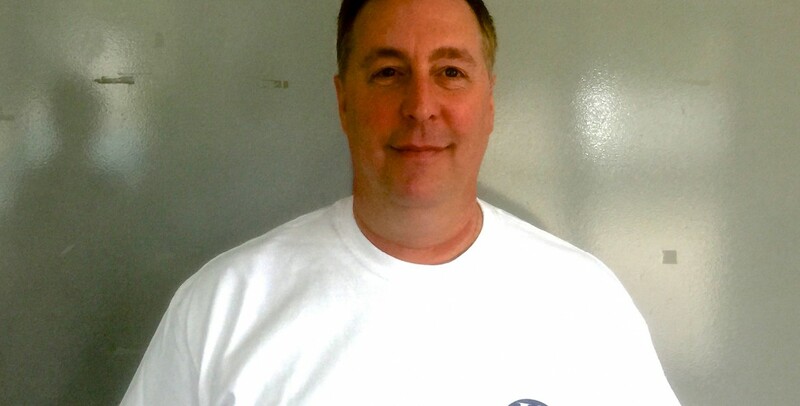 Mike is the Loft Manager for Ullman Sails Detroit, working with Wally Cross and Ian Pouliot.